St. Andrews in Scotland is known as the home of golf and the place where William met Kate. 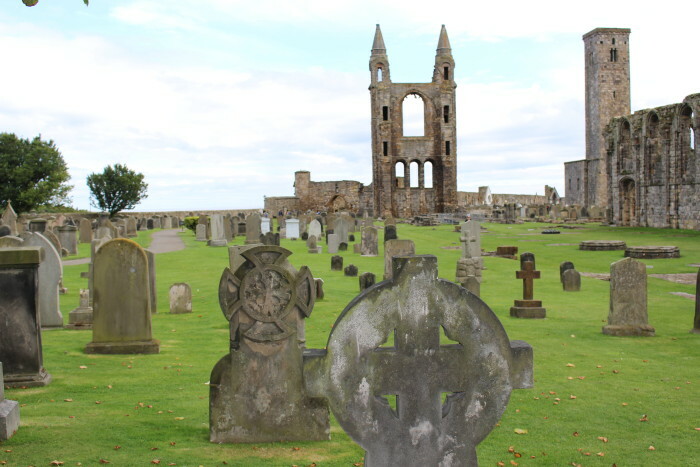 We spent most of our time there wandering through the ruins of St. Andrews Cathedral dating back to 1158. It was an appropriately gloomy, drizzly day and we absorbed the ambiance of Scotland. We were hungry and it started to rain, so we stopped into a sandwich shop called the Cottage Kitchen. It looked like a cute little place to have lunch. Their menu boasted fresh-made items using local produce. 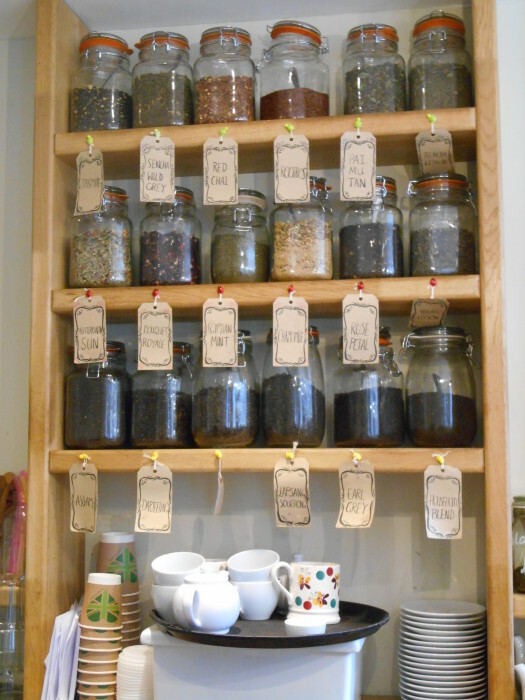 And, they had all these jars of tea on the wall behind the counter. 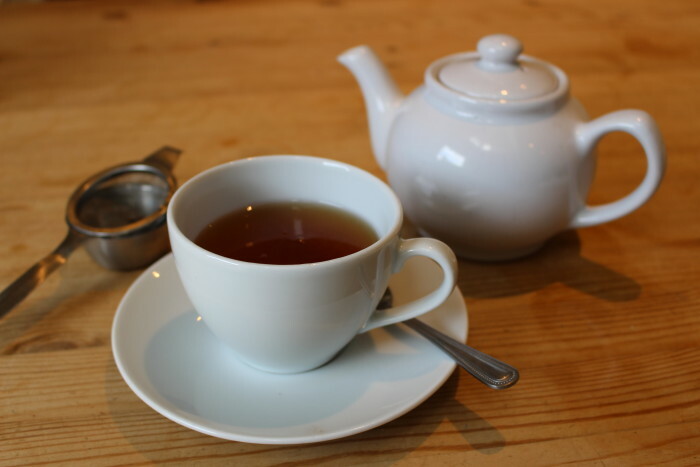 This is a very controversial tea. There is no grey area. Like licorice, you either love it or hate it. I’m firmly in the hate it camp. On top of that, our food was awful. We ordered the broccoli cheese soup. Doesn’t that sound good on a damp, rainy day? Not if it’s mostly water. Broccoli water. Where was the cheese? Where was the creaminess? Not in this soup. Plus, the bread on the side was very dry and bland. Perhaps we caught them on a bad day but based on my experience I cannot recommend the Cottage Kitchen in St. Andrews. Skip it. ← Bettys is the Best! Sorry you had such a lousy experience. I would have expected them to be on their game. Bummer. It just helps me appreciate the good experiences at other places even more!